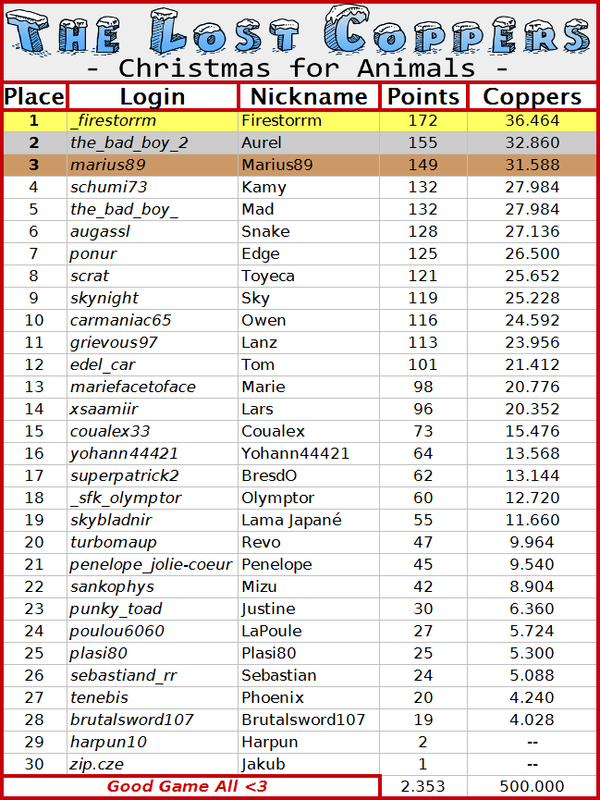 I have some sad news..
Mizu, the Maincreator of "The Lost Coppers" and Admin will no longer participate as he stops TrackMania. I will continue TLC with a new Admin. Most of you know him already. I wouldn't say it like this tbh.. I will see how it will work for me without Mizu. Some important informations are following soon..
because not many people are coming anymore / too much work for 10 People to be honest. After this two Edition I will put all Maps, that are left! You will have 2 Months time to finish them all and I will do a ranking of the Top 10 driver. Player 2 is on one Map first and everywhere else second, he will be in the total ranking second place. So 11 Maps to hunt! and I hope we will see you the last two Events! Modifié par -Mizu-, 02 ao�t 2015 - 21:25. And no, I didn't forgot your Map, I just didn't listed the TimeAttack Maps yet, because I don't know what I will do with them / will probably still make TimeAttack Events. Modifié par -Mizu-, 03 ao�t 2015 - 11:32. Thanks for the "beautiful" behaviour of some people. Will think about it if I will still do a last TLC + Event. Why always focusing on bad things and never on good ? Will think about it if I will still do a last TLC + Event. Modifié par Toyeca, 16 ao�t 2015 - 20:33. Okay, I will do one last one. But it's actually funny, that people flamed me for banning someone, while it wasn't even me this time. Modifié par -Mizu-, 29 ao�t 2015 - 20:59. Modifié par -Mizu-, 02 septembre 2015 - 16:14. We were never expecting that we would reach such a high amount and are very, very thankful for it! presents each year, I decided that as part of it I would be adding 10€ for this event. it is going to be, I can't say how much the final donation will be. The final results of the donation will be the last time, that I will be posting here. Modifié par -Mizu-, 14 d�cembre 2018 - 12:12. This mysterious person is Pauu3R (___thedog___). as Mizu is very busy with his work.. we might be doing it just before christmas.